Annual planning is harder in a small church, but that doesn't mean it's not possible. Or important. 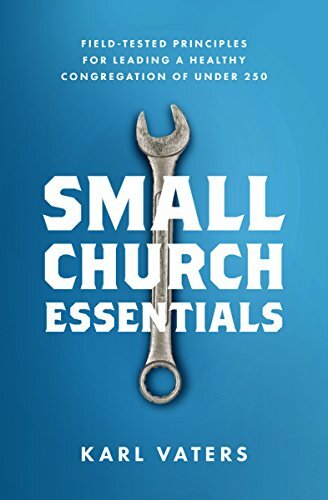 Lack of planning is a big reason so many small church pastors feel worn out. And why so many healthy small churches feel stuck. Most teaching on long-term church planning looks at 5-10 year goals. But most small churches barely have a plan for this coming Sunday. Most small churches barely have a plan for this coming Sunday. We know we should do better than that. But there's such a big gap between my current reality of "what am I preaching on this Sunday?" to their ideal of "what are your plans for the next decade?" that most small church pastors give up in frustration. What if there were some intermediate steps to help us design a template for the year ahead, then start filling that template in? Well, there are. Christmas is coming again this year. It’ll be on December 25. I checked. The date of Easter changes from year-to-year, but it’s not hard to look it up in advance. The same goes for every other annual event. So why do they seem to sneak up on so many of us? It's as simple as starting with what you know for sure. Some pastors of big churches take a month off (usually in the summer) to plan, pray and organize. Some even write a year's worth of sermons. I’d love to do that! But it’s not going to happen in any small church I know of. Especially for bivocational pastors. But imagine if there was a way we could do a version of that every year. One month of forty hours a week means 160 hours to plan, pray, organize and write sermons, prepare new ministry strategies and more.